Clash of Clans, Boom Beach, and Hay Day, there is a very good chance that you have heard or even played at least one of them. All 3 top hits are developed by Supercell, a start-up video gaming company located in Helsinki Finland. From nobody in this steaming competitive gaming industry to top the download chart in Apple App Store in 44 countries, Supercell only needed 5 years. By the end of 2015, Supercell harvested annual revenues of $2.3 billion, and profiles of $964 million. As most start-ups, Supercell did not always have a favorable wind all the way. Back in 2011 at the start, like many gaming companies back then Supercell focused on developing multi-platform video games, however its first game GunShine barely lasted over than a year. This one game fit all strategy sometimes led to a dead end since controlling is so different, think about from keyboard + mouse combo on PC, to joystick controller on gaming consoles, to smart phone and tablet which don’t even have buttons to touch. “Our first thought was, ‘Hey, we’re going to create these cross-platform games that you can access both from a web browser and from mobile devices,'” said Paananen, CEO. Was Gunshine a false start, then? “Yeah, I guess you could say that,” he admits. As soon as Supercell sensed the potential of mobile platform, the company decided to focus on this single platform only, it was a fairly risky step. As the mobile only strategy started to pay out and together with emergence of smart phones and tablet, Supercell came back with Clash of Clans to turn the tables. During the development stage, social media tools were actively adopted, such as “IDEAS AND FEATURES REQUESTS” in the forum. Social media tools enabled Supercell to directly talk to potential consumers for demands and requirements. “Before now, we usually always had to go with a big international publisher or someone like that, so there was always a middleman between us and the consumer. But then these democratic app stores, like Facebook and iOS, and all of a sudden it was possible to directly access the consumer.” said Paananen, CEO. As a game designed specifically, it makes perfect sense to market digitally on social media. At early stage, Supercell partnered with Apple to land a spot in featured game in App Store, which gained Clash of Clans tons of visibility. Unlike lots of large companies’ “spray and pray” advertising, Supercell invest in advertising heavily but wisely. On Facebook, targeted ads were pushed to predefined audient age, income range and level of interest in games. Such strategy ensure investment got allocated to target audients who were more likely to become deeply engaged. Remarketing ads were popped to players used to be active, which could lead to even larger profits. At later stage of Clash of Clans, repots says Supercell invested close to $1 million a day in paid medias. Everyone has a life offline too, but it doesn’t matter, Supercell reinforced the message. Recall how often you see Super Bow TV commercial about a game? When Clash of Clans is super confident about quality of its game, there is no fear of “rent” audiences via paid social and convent them into customers. YouTube influencers are sponsored to share game tactics and game play, and also get invited for a trip to Supercell headquarter in Finland. In the Audience Purchase Funnel, awareness, engagement, and convention, in all three processes content and social media has an important role to play. 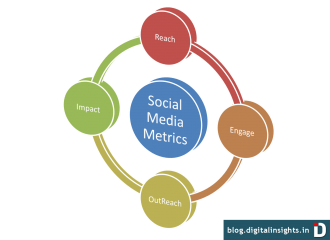 From an overall point of view, use of social media should be result driven and each strategy behind social media should be carefully measured with systematic metrics for effectiveness. Integrating multiple digital sources and approaches to a comprehensive marketing plan is the ultimate goal of social media.